One of a kind stone creations, designed and hand carved by the artist. Something special for the real cigar aficionado. The newest revolution in cigar humidification and lifestyle accessories. These humidors are simply the best. Best design, best humidification, temperature and UV control and ultimately the best looking. Something that a real cigar aficionado needs. It's all about the natural stone properties, the humidor solid one piece design and the artisan design and hand carving process. 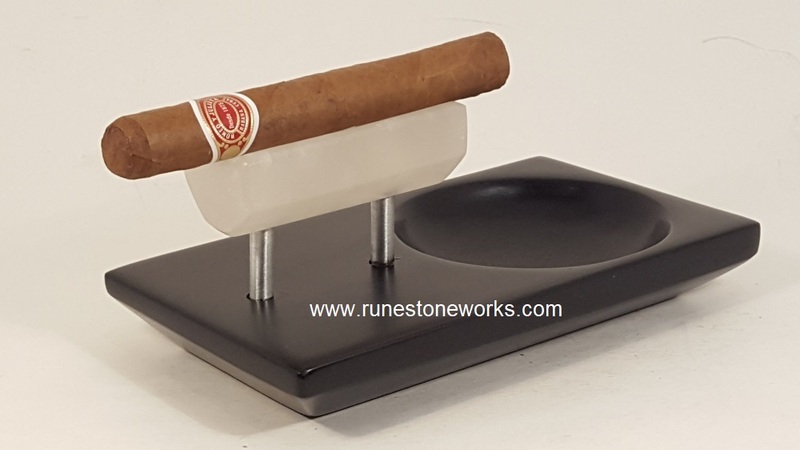 Why a stone humidor? 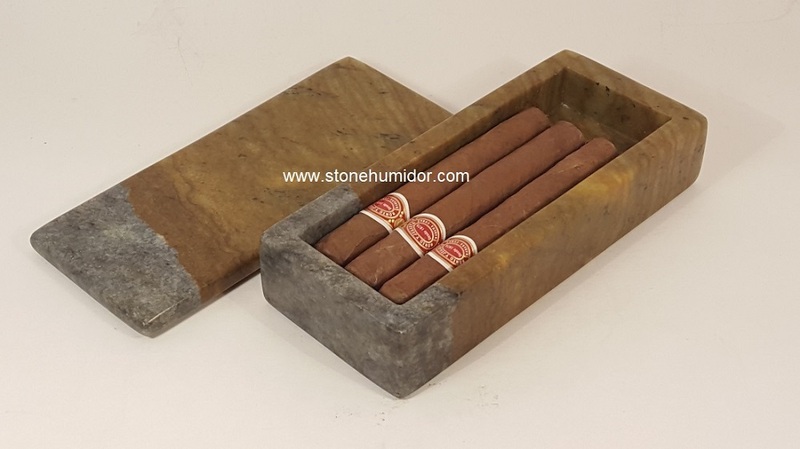 Stone is actually the best material for cigar storage, providing better humidification and temperature control than wood. It is obvious, that making a humidor out of wood is much easier, but in reality it is a poor material for this purpose. The natural properties of the stone I use in my creations are amazing for providing the ultimate control in cigar storage and quality. Oh, and it looks so rich and beautiful. These "one of a kind" custom handmade beauties will make anyone comment in amazement. Stone is one of the best materials for temperature control. The stone will hold its temperature very well, and will not swing as quickly with temperatures like wood will. The stone is also naturally resistant to bacteria and staining. 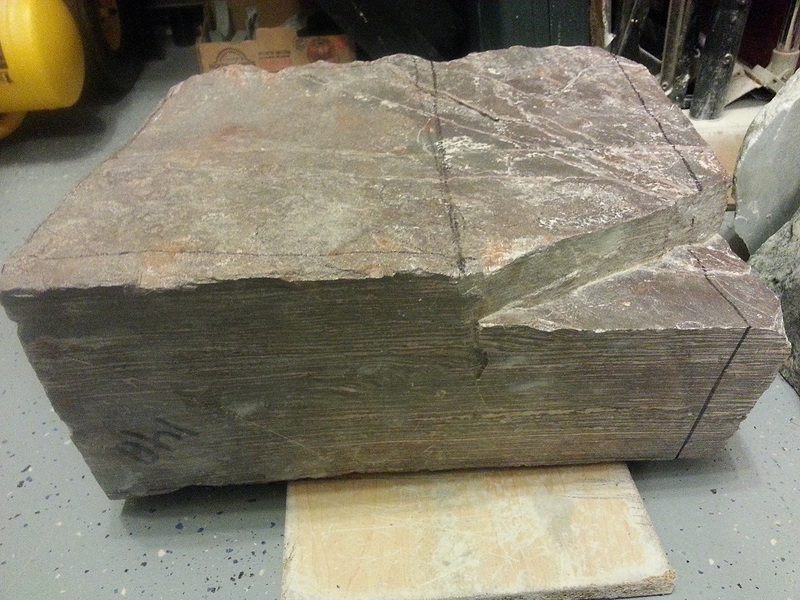 The sealing of the stone encasement also ensures better humidification control unlike wood. I carve all my humidors from a solid block of stone to ensure no leakage or penetration through glued edges or contamination from any adhesive. These are basically a solid stone crypt. Typical wood humidors also absorb humidity and sometimes can even change the flavor of your cigar over time. They also don't protect your cigars from UV light. Stone humidors will keep your cigars in a perfect pure condition over a longer period of time than anything made from wood. As an artist, I am always working on ways to bring art from the gallery into our everyday lives. 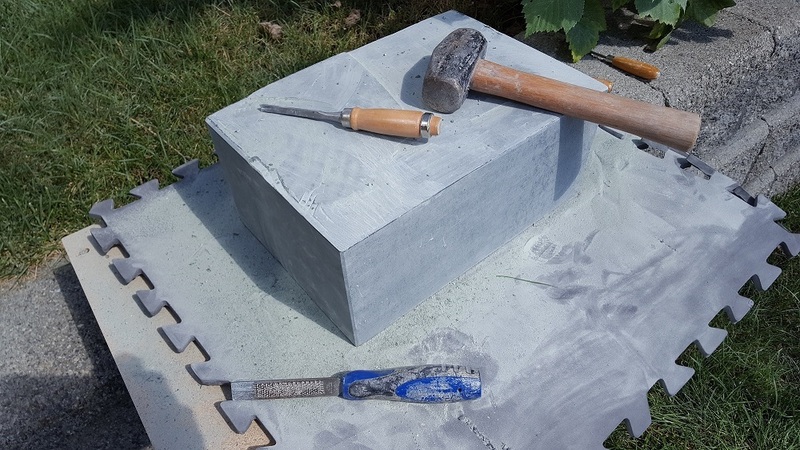 Stone was always used for intended purposes by the ancient civilizations, so why not now. 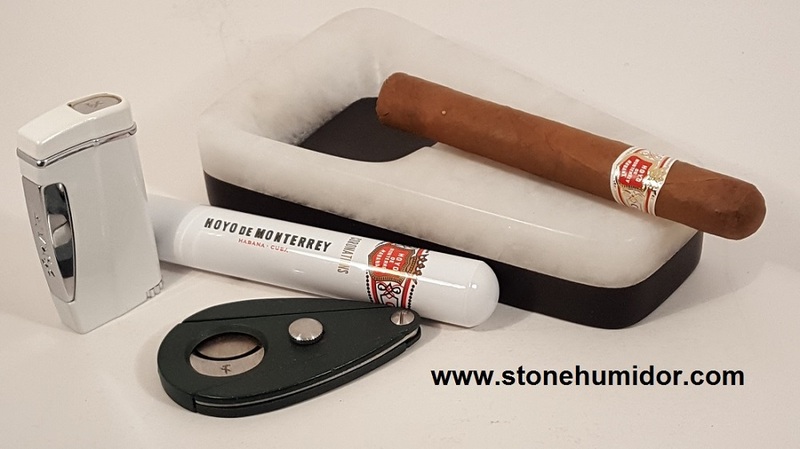 As a cigar enthusiast, I thought that using stone as a humidor was a natural fit which addressed a common problem of humidification/temperature control, UV light protection and cigar purity. Everyone who has a wooden humidor knows of the constant challenge in maintaining the correct humidification for your cigar treasures. Even with Spanish cedar interiors, it is a fact that humidification and temperature control is a constant battle. 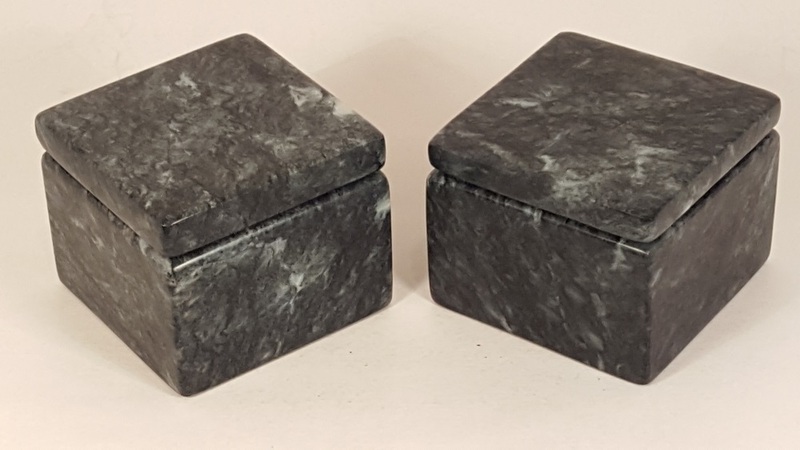 These hand carved stone humidors solve that problem, and they solve it with stunning beauty, each individually designed and hand made by an artisan. What did the ancients store their best treasures in? Carved stone containers of course!